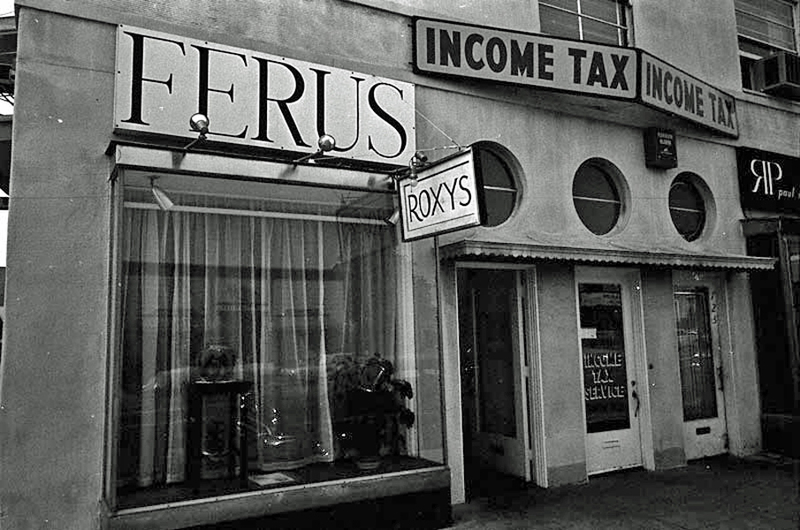 Exterior view of the Ferus Gallery during the exhibition of Edward Kienholz’s installation Roxy’s, 1962. Photo by William Claxton (1927–2008). Courtesy Demont Photo Management, LLC. Getty Archive.